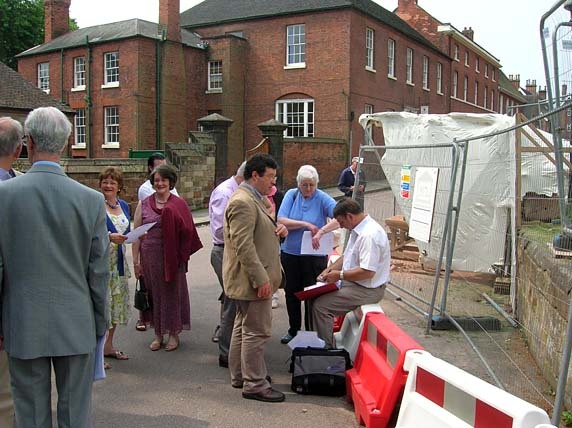 A while ago we got wind of a fundraising scheme by The Friends of Lichfield Cathedral to auction off damaged sections of the cathedral that had been removed from the North and South Clerestory during the restoration of the East End of the building. 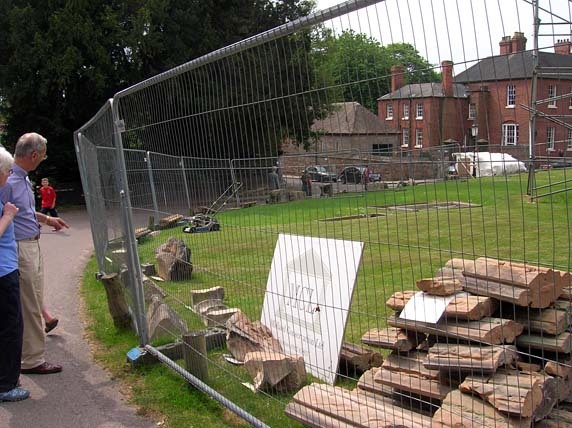 Currently scattered around the cathedral lawn, the advert promised that the stones (which are 17th-century) could make a great garden feature and would come with a proper certificate of authentication. So off we went last Saturday to the stonemason’s booth (above) to place bids on 1) part of a quatrefoil taken from below copings 2) the upper section of pinnacle and 3) copings from the Lady Chapel. I can remember touching the walls of Arundel castle in West Sussex when I was a kid. I still remember the special feeling, like something passing into me from the stone. I still get that feeling when ever I touch centuries old items. I think it would be great to have material from the Cathedral in my garden. I hope you win the bid. Good luck. Many thanks Le Loup – sadly, we've heard nothing so it looks like our bid has fallen by the wayside. However, there are quite a few pieces of stone and the site needs to be cleared by September so I wouldn't be surprised if another auction doesn't materialize. I agree, it's wonderful to touch the fabric of a building that's been through so much! Dashed bad luck Mrs W. Better luck next time. I wandered on to your page after searching for bloggers with a passion for Georgian England and joyfully discovered we are kindred spirits! I am loving your blog and earnestly hoping you win your bid! P.S. I just posted something about turnspit dogs and the turnspit at Number 1 Royal Crescent in Bath. Have you heard of turnspit dogs? I imagine it is common knowledge in England but in the US, it is a little known fact. Thanks so much for your comments! So glad you like the blog; I don't know anything about turnspit dogs but I will check out your post. Sounds like essential reading since I have a trip to Bath on the agenda and also hope to do some blogging about it!